You also have the option to choose between 7 different LED lights that are completely customizable and adjustable. These lighting options allow you to choose your favorite colors while also making the keys easy to find in those low-light conditions. Adjust the brightness to your liking and you’ll never find yourself struggling to find the right key when you may be playing in the dark. The backlight makes every key visible and extremely easy to find. Compatible with many different Windows software, you are guaranteed to have a great time online with this gaming keypad. Get yours today and experience a new way to play online, but this time with supreme comfort and style. This is a high-quality device that is built to last. Upon inspection you’ll find that it has a super durable braided fiber cable that can withstand all kinds of tugs and yanks that may occur while in use. We’d also like to bring your attention to the gold plated USB connectors that guarantee a longer life span and consistent performance. You won’t have to worry about not being able to connect your keypad to your computer ever again. 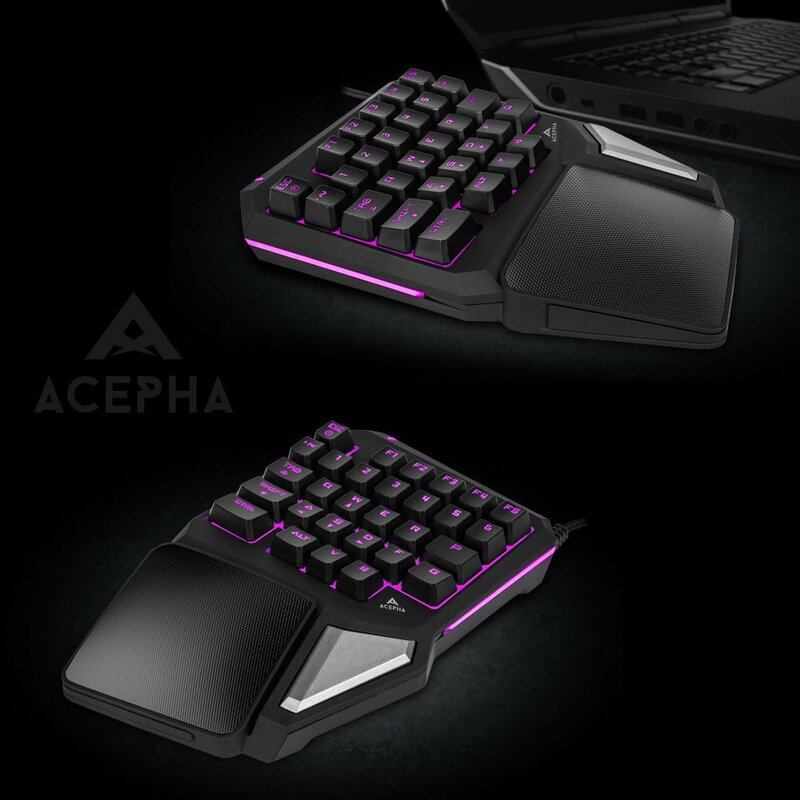 Very nice gaming keyboard and it is comfortable too. Good quality especially considering the affordable pricing of this item. I bought this gaming keypad for my son and he loves it very much. It has pretty cool design with backlights. Easy to set up. Great value with good quality. Highly recommended! Would have liked a “C” button, find myself remapping key bindings more then I should because of that! The worse part is theres room for one right where they put their logo instead! 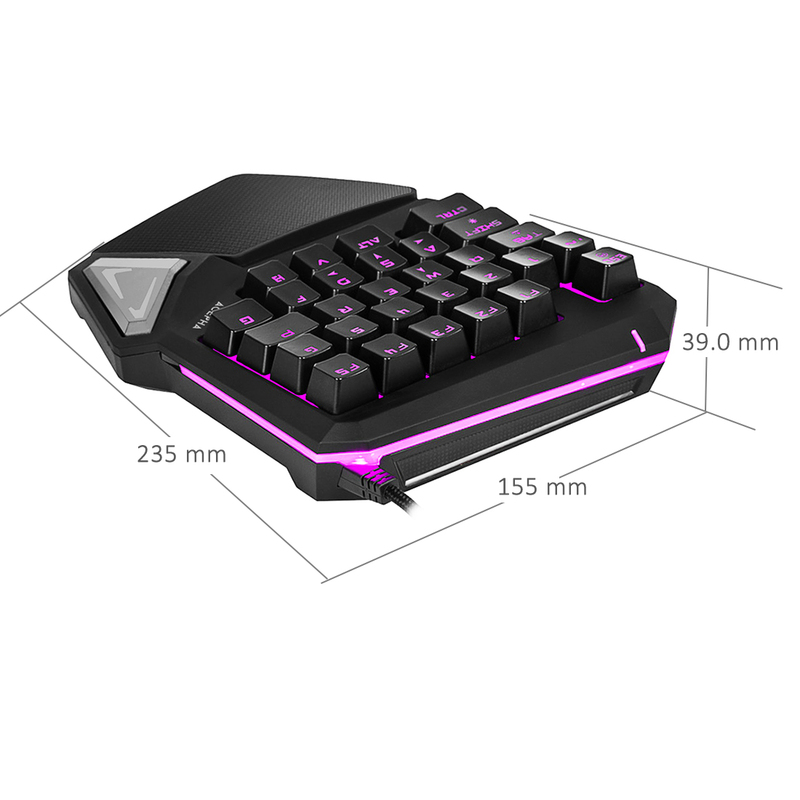 This is a most have for hardwire gamers eho want more space to kove the moise or just a smaller keyboard with just the key you need. The different colors are a great eye catcher. It takes some getting use to the first few times you use it but when you get the hang of it, it’s just a a regular keyboard. Been wanting a Razer Orbweaver for a while but it was too expensive. bought this instead and i love it. it comes with a driver for the things macro software but you can download the drivers from their site if you don’t have a Optical drive. the keys are responsive and the space bar is kinda unorthodox looking but it fits my hand perfect. Only thing that throws me off is the shift and control key. i have a the Razer Blackwidow keyboard and the things massive so it may just be me but its odd to have the shift key directly next to the “a” key. this isn’t really a problem with the macro software it has but i thought It’d be worth mentioning because you may have to rework how you Sprint and crouch or whatever you have those two keys as. Straight up 5 stars though as i love the thing because its comfortable and does exactly what i want it to. Will probably buy more for my brothers in the near future. This is a wonderful keyboard. The keyboard has a backlight for better handling at dark environment. The space key is conveniently located at my thumb position. The keyboard is less than 50% of the full size keyboard. It can be moved easily during the game. I think it is a perfect companion for League of Legend. Very satisfied! (won more league of legends games than before to say the least, lol) to be honest, I was somewhat skeptical about buying this keyboard cuz why don’t I just get a full sized keyboard? 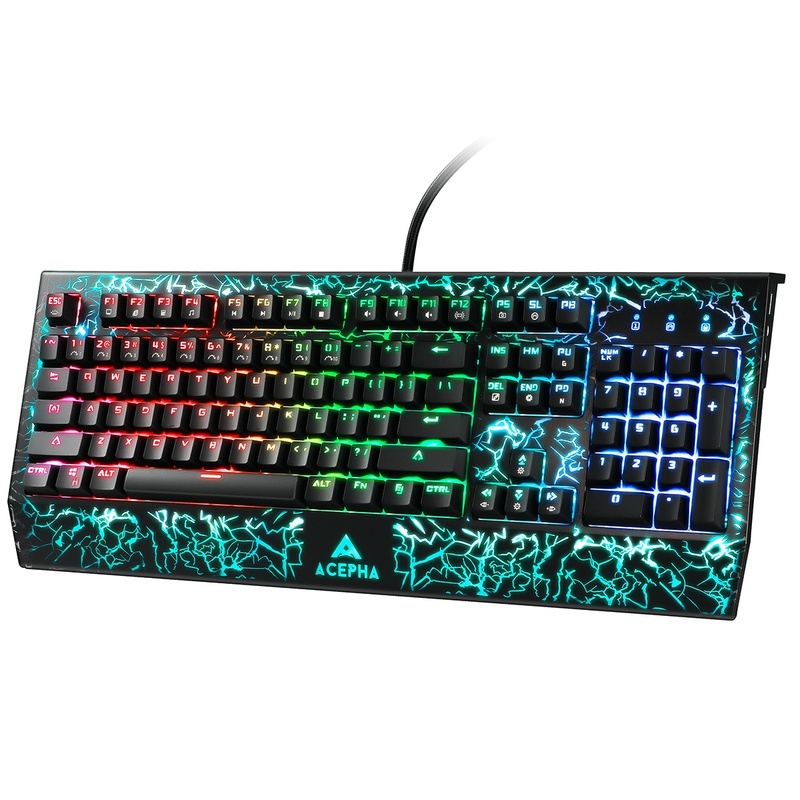 But I already some several keyboards which get the job done and this is for playing leagues of legends, and it gets the job done even more beautifully! Lol lol. The color changing back lit just makes it even better! People should definitely give it a try! Work well so far. buttons, comfortable locations. This device is easy to use. 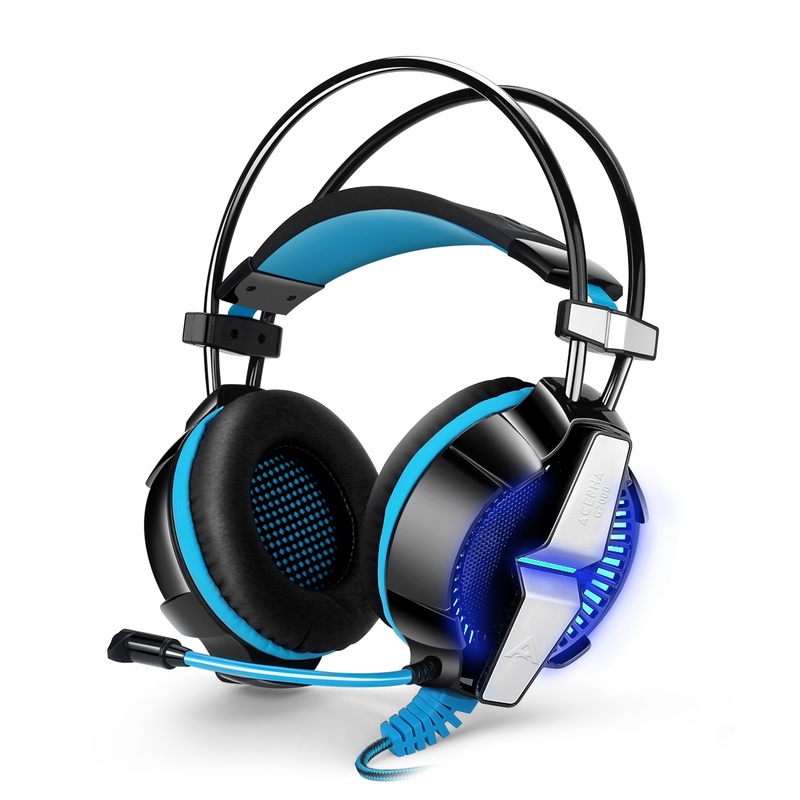 It is a great tool especially for gamers to use. The setup of the keys are amazing! My son really love this gaming keyboard, I originally got it for my brother to use but after my son testing it out My son really loved it and figured to buy another one for my brothers and keep this one for my son.Great quality works really fast and easy! i love it i would recommend it for mmo gamers! Great for first person shooters, only complaint I have is about the space bar. The space bar could be a little more closer to the rest of the keys. Other than that, this is great for anyone who’s looking for a simple FPS PC game setup or portable gaming option. Windows upgraded to Creator edition and I lost the use of my Merc Zboard gaming keyboard 10 years old < it was working fine on windows 10 until last upgrade. Best Keyboard I owned. It was hard to play Battlefield 1 on a regular keyboard So I had to find something different and found this. Ilike I can program the keys and the space button is right at my thumb. I had to reprogram the ~ key next to the 1 key because I keep hitting that key instead of 1 , so I programmed it also as 1 too which is nice , The pad your palm rest on is rubber to prevent sliding . My only complaint and wish I could take half a star is I would like the W key to have a bump so I know where my main key is for running in games. I do like you can change colors. I bought a wireless keyboard to go with it so I can move the wireless keyboard out of the way during gaming. boyfriend loves it! works amazing and is also compatible with the xim4 ( that what he uses for gaming). it’s bigger then i though i would have been it’s about the size of a normal keyboard of course half of a keyboard. it has a lot of different light settings. all around an amazing product for gamer of all kinds. This is fantastic! Took me awhile to figure out how to program the keys with the no-instruction software download, but once I did this thing does everything I hoped it would. These are membrane keys but this thing does the job. Had it about a week. Been playing PUBG and it works well. The software it comes with is very simple but it works. I’d say it’s worth it if you want an entry level non mechanical keypad. Have the Acepha T9 Pro keypad hooked up to my XIM4 on my PS4 Pro and this thing is amazing! If you’re looking to free your desk up and not have 2 full size keyboards, this is the way to go. The XIM4 recognized it instantly. Not sure why people are having issues with Windows 10 either, I tested it out on my PC and it was plug and play. keypad worked well, especially for the price. I used to use the old nostromo n52, but it is no longer made and problematic with Windows 7 on. This has been a decent replacement. It is not super ergonomic, but it does the trick.as always seems to be the case now, documentation is weak. it took us a while to figure out how to reprogram keys.Still, it is much less expensive than alternatives and worked well. Would buy again. Great product! Keys feel very good. very wll made! I’ve been using it for a couple of weeks now and it’s a cool little gaming gadget for people that want to stay portable. I use this on a PS4 for fps games and it works perfect and has just about all the buttons I need right there. The keys don’t feel flimsy, and the wristpad helps support your hand and keep it right where you need it. I’ll start with the drivers since everybody is complaining…I downloaded the driver from the website because it is probably more current than the disc. INSTALL DRIVER BEFORE CONNECTING THE KEYPAD. After the driver is installed, THEN CONNECT THE KEYPAD. When the keypad is connected a few windows will popup asking you to install more drivers… I CLICKED NO. So far, everything is working great!As for the keypad itself… It feels great, looks great, and I’m overall very happy.My only complaint is the positioning of the SHIFT and CTRL keys. I’m already getting used to it, but there is a short learning curve to adjust to the new positions. Never used a game-pad before so I bought this one as my first experience with the products and I can easily say that I love it so far. I game on a laptop so its great not having to have my left hand resting directly above the hard drive all the time. The only minor complaints I have is that SHIFT and CTRL are moved up by one row due to the absence of CAPS LOCK so that kind of messes with comfortable finger placement and when you set a color for the pad, ex: light green with breathing, every time the pad is either disconnected or the computer is turned off whenever you turn it back on it resets to solid red. While it is relatively easy to swap between the colors on the go (esc+tab) and you can reprogram shift and control or get used to it its still just these quality of life quirks that keeps it from a perfect 5-star in my book. 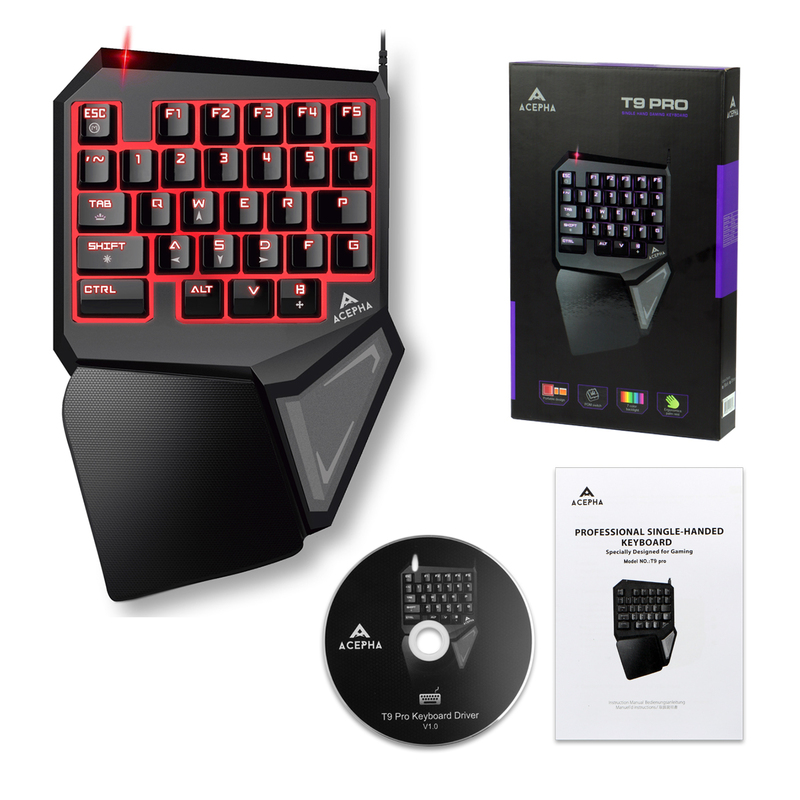 This is great for MOBA’s and I have used it with my laptop and DotA2 to play and not wear out my chic-let keys on the system. 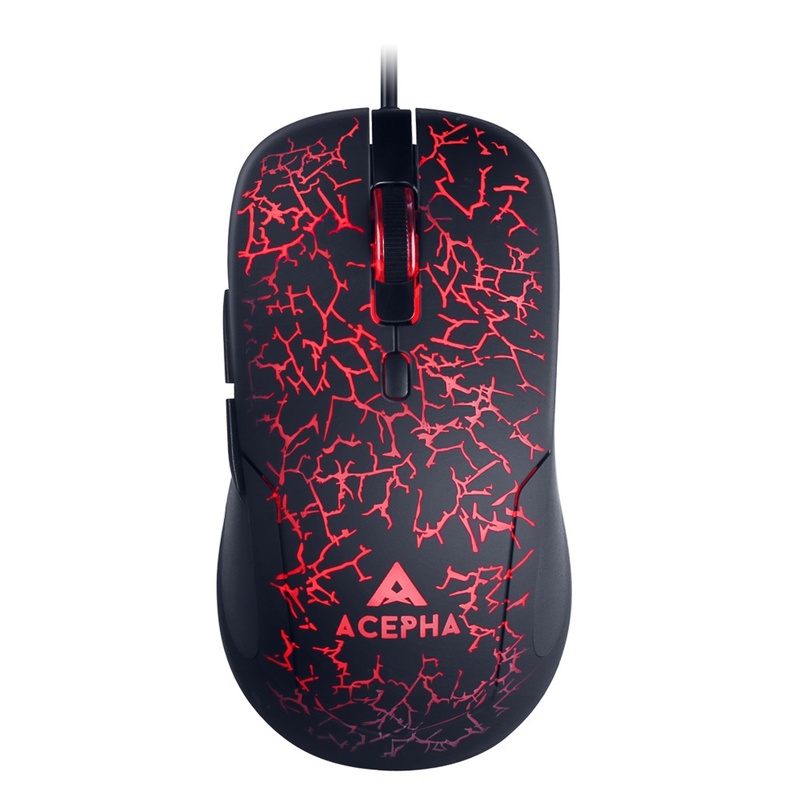 All you need is this T9 and a mouse and your rockin’ in most MOBA and RTS games! Good keypad for the price.PROS–RGB-Ergonomic-Tall switchesCONS–Not mechanical-comes with driver disc instead of a link to a website. (the driver on the ACEPHA website doesn’t work. After the seller send me the driver installation. This keyboard is working as intended. It may take some time to get used to the keyboard layout for gaming. Keyboard feels very solid.Good quality!Something to improve:* The arm and the entire keyboard may feel a little high (or thick) for some people. * Although you could customize keys freely, I hope the could include a big enter key. This product is fantastic. Although I had some initial problems with the drives and getting it programed at the beginning, it now works like a dream.And it $30 I defiently can’t complain.I use this for gaming, video editing, and photo editing and it defiently comes in handy with programmed shorties/macros.In short, it’s a great deal on a decent product that looks good, feels nice, and works well. Very happy with how easy to program it is. I have small hands but have no issues there but the space bar needs to be press harder than the others buttons which was hard with a small thumb. This is perfect if your like me transferring from console gaming to pc gaming. Just what I needed for so little price. I was hesitant about this, but within a few minutes, my opinion totally changed. This is awesome! I have a big hand and this pad is totally comfortable. I gamed on this for a few hours with no issue. I like the color changing lights too and those can be controlled by hot keys on the game pad. I would recommend this! This was a great addition to my desktop gaming PC at a great price. I was looking to get a keypad but I didn’t want to spending a ton of money. after looking around for a bit I deiced to go wit this one because it had a rubbery wrist pad and also the shape and design. They have a mechanical feel to them. I love the location of the space bar, it makes it really easy to hit it. The gamepad lights are also night. The key responds pretty well, I have been playing with it for more than a week and have enjoyed using it. Overall it’s a good gamepad for the price. When I first started using it, I immediately noticed how comfortable the wrist pad is. The are just wonderful and the shape of the “space bar” is perfect. Really love this gaming keyboard, I originally got it for my brothers to use but after testing it out myself I really loved it and figured to buy another one for my brothers and keep this one for myself. Great quality works really fast and easy! This thing is awesome! What more can i say? As someone who plays League of Legends this thing has met all of my expectations.PROS: it has every key you need to play League(except one but ill get to that in a sec), I have a very large hand and this is very comfortable to use, the key caps seem to be double shot which will extend the life of the key cap and should prevent the letters from wearing off(technically the letters should never wear off), the switches themselves appear to be membrane switches or their take on the membrane switch; very responsive with not much of a tactile feel; a fairly soft impact when pressing with a slight sound of the key coming back up, the rubber wrist pad is nice and rubbery to prevent sliding around, braided cable with Velcro strap for cable management, also easy to load drivers which came on a disk(if you don’t have a disk drive you might be able to download them from their website,check with seller to make sure), also a convenient space bar button right where your thumb rests.CONS: about not having all the keys to play league, this does not have an ENTER key, which you use to pull up chat in League, I didn’t take any stars away because its only used to open chat in game and chances are you wont be typing with 1/3 of a keyboard anyways. One more kinda-con would be the lack of options as far as RGB goes(but again its a 20$ keypad)OVERALL: overall for 20$ you cant go wrong, yes there are similar keypads out there for 35 -50 bucks with knock-off Cherry switches but these switches are just fine and do their job, overall i would definitely recommend this product to a friend(already have).the other keyboard in the pictures is the Black Widow Chroma V1 for comparison. Got this keyboard not long ago, love it, except…the drive download link for the driver isnt present, can anyone direct me towards a working one? deducting 1 star for lack of driver install disc, and lacking one on the website.